2019 Texas Regional Conference is now over. 2020 Texas Regional Conference will be scheduled for sometime in April, 2020 in Houston. 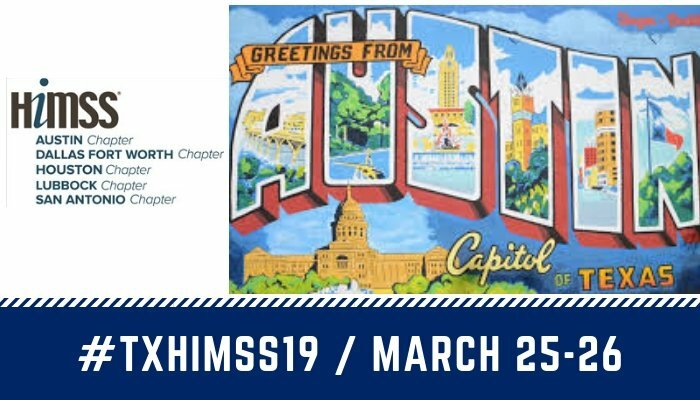 The 2019 Texas Regional HIMSS Conference will be held March 25-26, 2019 in Austin, Texas. This is our 11th year for this exciting conference that brings together over 700 health IT professionals, clinicians, executives and vendors from around the state of Texas that focus on new innovations, opportunities and progressive solutions to improve healthcare technology. Exceptional education, world-class speakers, cutting-edge health IT products and powerful networking opportunities are hallmarks of this Texas flavored conference.